Adequate pain treatment has always been a struggle in our society. Frequently, doctors prescribe medication to their patients in hopes that the patient’s symptoms will be minimized. 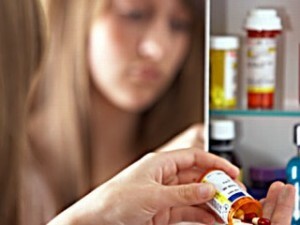 However, recently many people have started abusing these prescription drugs. Unfortunately, these drugs are easily obtained through multiple doctor shopping, over prescribing by physicians, use of someone else’s medication, forgery of prescriptions, and/or from illegal online pharmacies. It is important to recognize that both the physician and the patient are at fault here, as doctors should more closely monitor their patients and as patients should not abuse the system. At least half of all Americans take at least one prescription drug. In a 2006 survey of teenagers, 62% said it was easy to get prescription pain relievers from their parent’s home. 19.5 million Americans (8.2% of population) age 12 and over currently use illicit drugs. Of this total, 6.3 million abuse prescription drugs (2.7% of population). Admissions to federally supported treatment programs for prescription opioid about increased 342% from 1996 to 2006. Almost all of the states in the U.S. have made an attempt to battle this epidemic by keeping electronic files on patients and attempting to monitor their usage. Consumers can help by acknowledging the issue and taking extra steps to make sure their prescriptions are securely locked up. Both the DEA and the FDA have been working together to battle these issues and are striving to press criminal charges against anyone involved in the misuse of prescription drugs. The battle is far from over, but it is important to recognize how serious of an issue it has become and to take steps to prevent it from getting any worse.